You are here: Attractions -> Things to Do in Cornwall -> Pinetum Park & Pine Lodge Gardens. Awarded a Highly Commended Certificate of Visitor Attraction of the year 2002. We've also got the award for small visitor attraction of the year 2008. Pine Lodge Gardens, near St Austell in the lovely county of Cornwall, had its beginnings in the 1950s as a two acre garden. The history of the land goes back to the tin and copper mining era of 1830. It was finally abandoned as uneconomical in the 1850s and reverted back to the home farm of Cuddra until the estate was broken up and sold. fascinated with the world of plants. The collection now stands at over 6000, all labelled. Over the years the garden has grown and now covers thirty acres. A two year project which started in 2006 developing new Herbaceous Borders and 3acre Winter garden, which is maturing well. Map of Pinetum Park & Pine Lodge Gardens. Off A390, follow brown tourist signs. 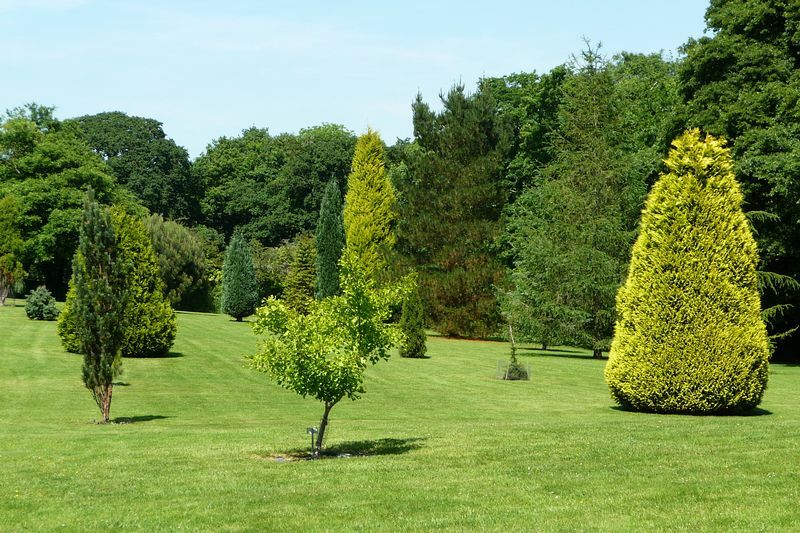 Days Out near Pinetum Park & Pine Lodge Gardens. Places to Visit near Pinetum Park & Pine Lodge Gardens. Also near Pinetum Park & Pine Lodge Gardens.